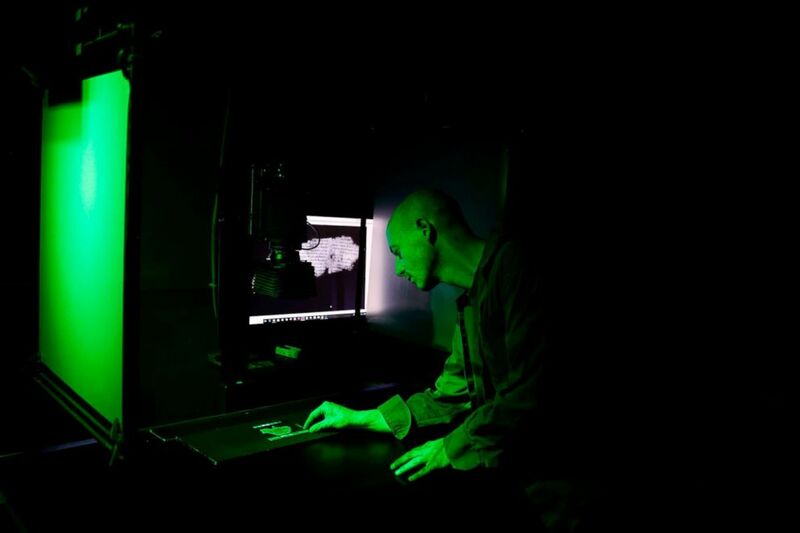 NASA technology is enabling scientists to read information from fragments of Dead Sea scrolls that are invisible to the naked eye. Shai Halevy, a photographer in the Israel Antiquities Authority's Dead Sea Laboratory in the Israel Museum, shows the Great Psalms Scroll along with a fragment that contains letters in Jerusalem, May 02, 2018. 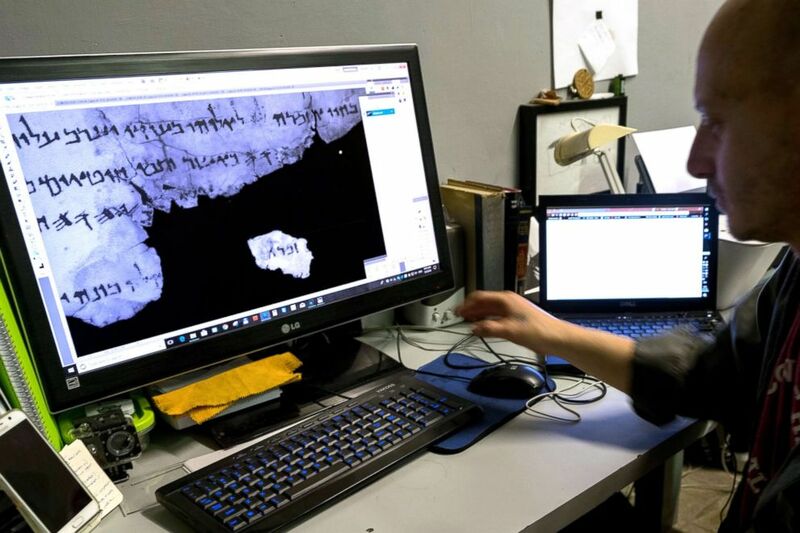 Researchers at Israel Antiquities Authority examined scroll fragments with the aid of a multispectral imaging camera developed by NASA to reveal script that could not be seen until now. 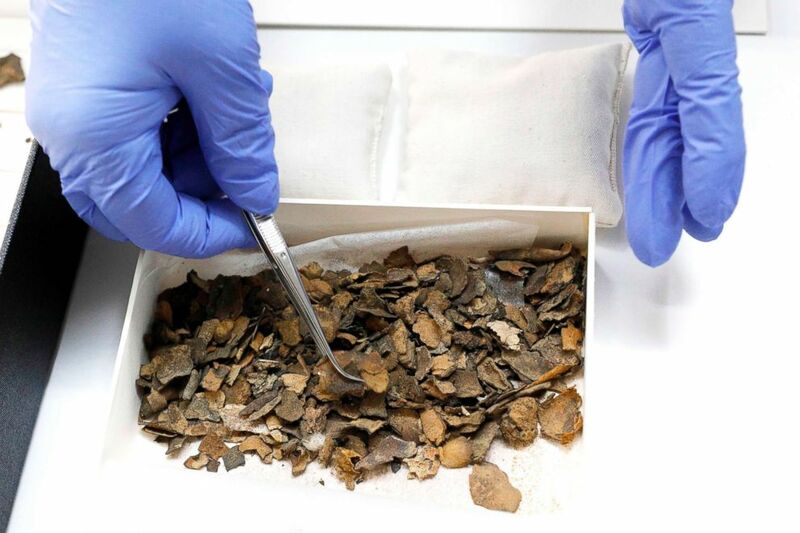 A conservator uses tweezers to hold fragments of a Dead Sea scroll, at the scrolls' conservation laboratory of the Israel Antiquities Authority in Jerusalem on May 2, 2018. Shai Halevi, the photographer responsible the image processing of thousands of fragments from the Dead Sea Scrolls, stands next to a unique camera with special LED lights inside in Jerusalem on May 2, 2018. 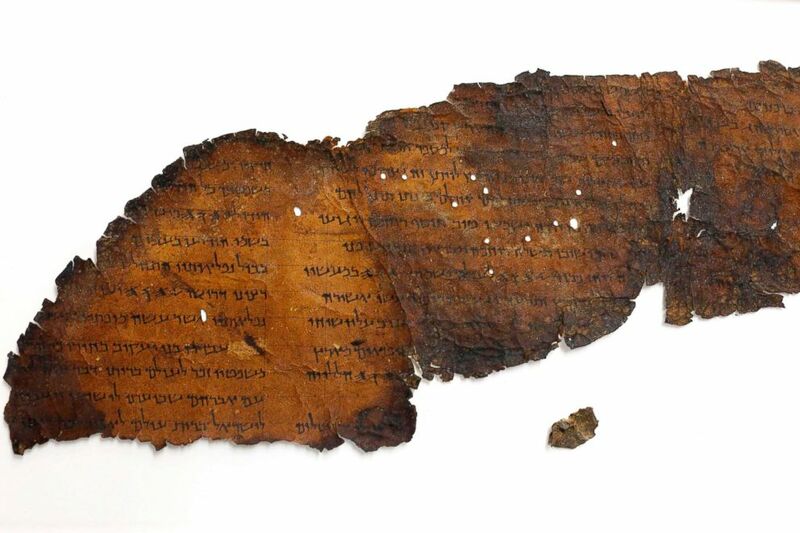 The Dead Sea Scrolls are a collection of hundreds of biblical texts in Hebrew, Aramaic, and Greek discovered in the 1950s in Qumran caves on the West Bank near the Dead Sea. A large fragment of a scroll found in "Cave 11" is pictured next to another small fragment which recently with the aid of advanced imaging equipment revealed a previously unseen hidden text. The thousands of scrolls fragments are being digitized and made available to scholars. 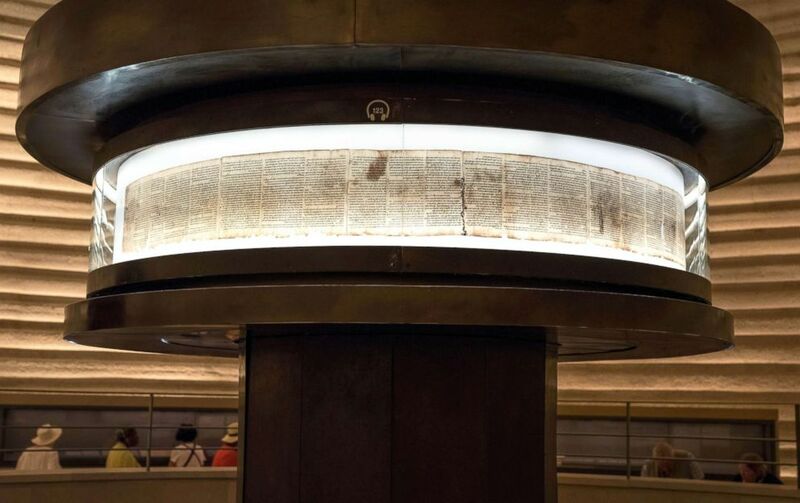 A view of the Shrine of the Book, displaying some of the Dead Sea Scrolls in the Israel Museum in Jerusalem, May 02, 2018. EPA contributed to this report.